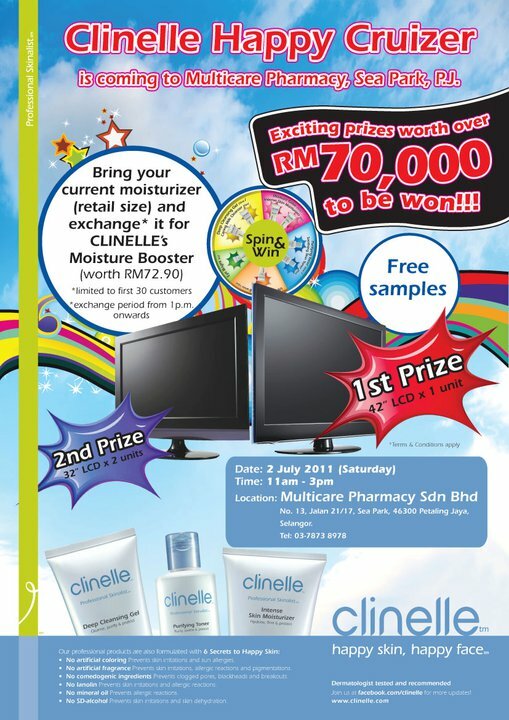 Bring your regular moisturiser and exchange CLINELLE Moisture Booster for FREE. Come and try your luck tomorrow from 11am to 3pm in Farmasi Multicare Seapark. With minimum purchase of RM30 you can spin Clinelle Wheel of Fortune and lots of free gifts to be given out too.